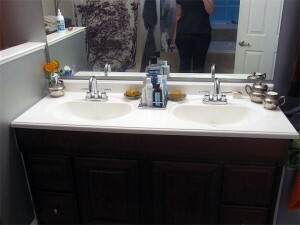 I realized that I hadn’t yet posted pictures of the completed vanity top in the master bathroom, so here goes! 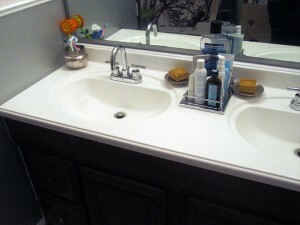 Though the solution isn’t perfect, it definitely got rid of my biggest complaint with that vanity–swirly brown *ugh*. While we were updating, we changed out the faucets for something that coordinated with the other bathroom hardware we used – from Gatco’s Bleu collection. 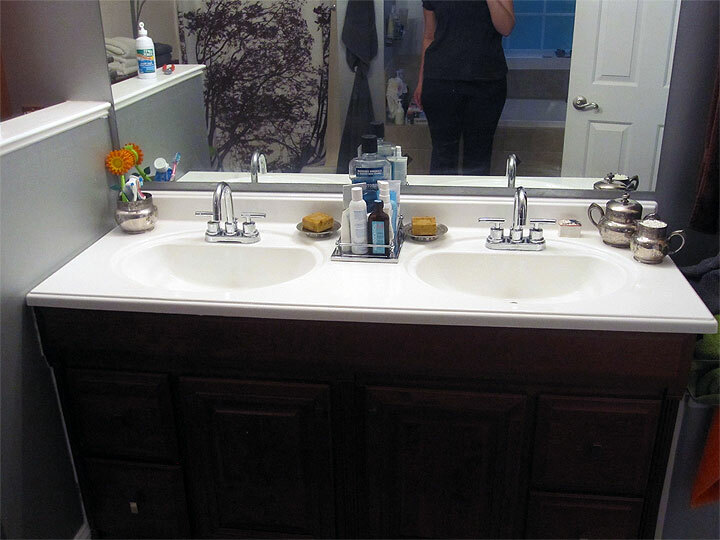 The Pegasus Dorset from Hope Depot was the most affordable coordinating faucet I could find. And it was super easy to install. Having used it for a couple of months now, I can definitely vouch for it’s quality. It feels quite substantial. 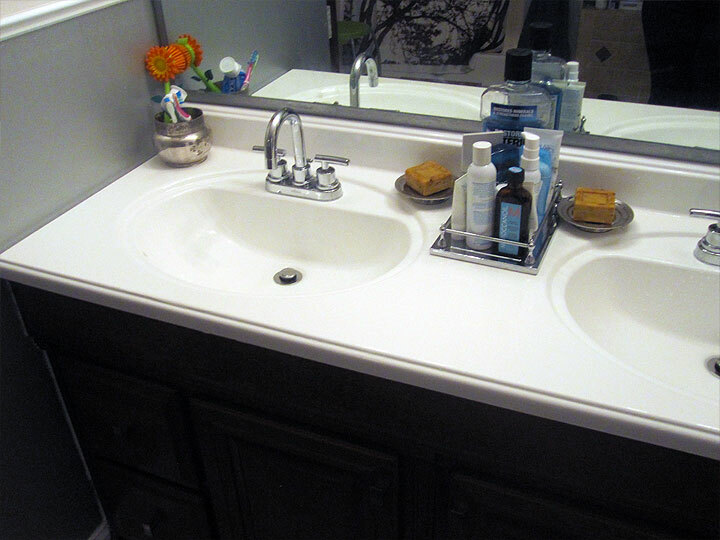 Looks great – you’d never know it was ever cultured marble! I see that you did this in 2010. 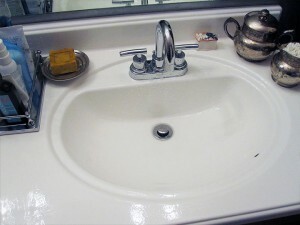 I wanted to use this product on my cultured marble vanities and tub surrounds, but Rustoleum didn’t recommend it. I sitll want to use it, so i was curious how it’s holding up. Any updates?